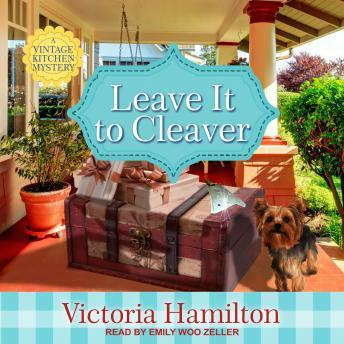 Vintage cookware and cookbook collector Jaymie Leighton has agreed to help her sister clear out the house of a deceased older neighbor, and she's thrilled at the prospect of discovering antique kitchenware and other treasures-until she opens a vintage trunk in the cellar and finds the remains of a teenage girl with a cleaver buried in her skull. When the body of a second girl is found just days later in a nearby river, the clues all indicate that the crimes are connected-and that the culprit's motives are hidden in the past. Jaymie just wants to cut and run, but the victims were both high school classmates of her sister when they disappeared, and that makes Jaymie the perfect person to help the local police investigate the killings. As she dredges up old memories and even older rivalries and jealousies, her list of suspects grows. But Jaymie knows she'll have to whittle it down to just one, and fast, because someone has decided to cut their ties to Jaymie-in the most fatal of ways . . .